HomeCoffeeHow Much Caffeine is in a Cup of Coffee? 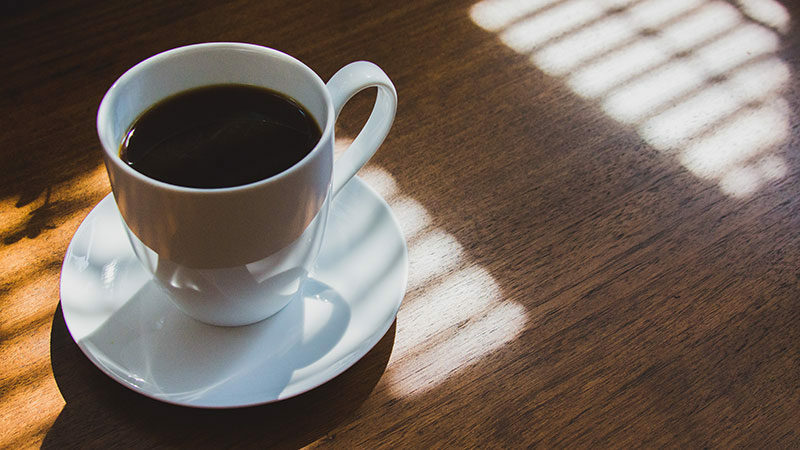 Do you rely on that morning cup of coffee to really wake you up and get you going? You’re not alone. But do you know how much caffeine is in a cup of coffee? Should you even worry about it? Before we break down the caffeine content down for you, let’s first take a look at the effects that caffeine can have on our body. Caffeine is a drug (a stimulant) that can be found in a variety of beverages and is naturally found in coffee. It stimulates your central nervous system, heart, and your muscles. However, unlike many drugs, there is no stigma associated with consuming caffeine on a regular basis. In fact, it is estimated that about 90% of the American population consumes caffeine in some form each and every day. In many cases, it comes down to the type of coffee and even the brewing process. Still, the figures below will give you a good idea how much caffeine is in your morning cup of java so you can get to planning your diet right. As you can see from the table above, the amount of caffeine in your coffee isn’t too much, but if you down a pot of coffee every day you end up taking in a great deal of caffeine. But, if you just try to enjoy a single up every day, in most cases you will have nothing you need to worry about. Another interesting fact that is worth noting is that even decaffeinated versions of your favorite coffee drinks contain at least a little caffeine. If you are trying to avoid caffeine, I believe there is very little need for concern, as the amount of caffeine is so low only the most sensitive to the compound would notice any effects whatsoever. Variations in the coffee blend. The amount of ground coffee used. The amount of caffeine that you will find in your cup of coffee varies between brewing methods. Brewing coffee by using the drip or filter method is by far the most popular method, at least in the United States. While not the highest caffeine content of all the popular methods, it still ranks pretty high on the list meaning each cup of coffee could be giving you a pretty sizable dose of caffeine. Many Americans drink more than one cup of coffee prepared by using the drip or filter method as well, greatly increasing the amount of caffeine they consume each day. A typical cup of espresso contains 45-75 milligrams (mg) of caffeine per ounce. Contrast that to the typical drip coffee we enjoy on almost every day which contains 20 mg of caffeine per ounce and you can see that an espresso will give you way more caffeine bang for your buck. As you can see, while espresso may have the most caffeine per ounce, you end up getting more caffeine and thus a much better caffeine buzz if you buy a large drip coffee. But it is not just the size that matters, there are other factors you must take into consideration as well. The coffee you use to brew that cup of wake up juice can also impact the amount of caffeine you get per cup. As you know, there are many different species of coffee out there. Each of these species contains different levels of caffeine. The most common in the world today is Arabica coffee. In fact, 70% of the world’s coffee comes from Arabica beans. But, they don’t have as much caffeine as other types of beans. For example, Robusta beans have almost twice the amount of caffeine compared to Arabica beans. So, that means if you want more caffeine for a better buzz, look for Robusta beans in your local coffee shop. When you roast coffee beans, they lose water and expand in size. But something else happens during the roasting process as well. The longer you roast the coffee, the more caffeine is lost, at least when measured in scoops. Essentially that means that light and medium roasts tend to have more caffeine when compared to the darker roasts. Sure that dark roast will have a much stronger flavor, but it will be weaker if you are looking for that caffeine buzz compared to lighter roasted coffee. Believe it or not, the size of your coffee grounds is also a factor. Remember, water passes through the grinds extracting the flavors and, of course, the caffeine in the process. A finer ground coffee will have more surface area compared to coarse ground coffee allowing more caffeine to be extracted. This is one reason espresso has more caffeine since it is made with a fine ground coffee. Your water is a huge factor in determining not only how your coffee tastes but what is in it as well. Hot water that is between 195°F and 205°F will extract much more caffeine than water at other temperatures. Cold brew coffees, for example, contain much less caffeine compared to hot brew coffee. What Coffee Gives You The Best Buzz? For the most caffeine, order a double espresso made from robusta beans. How does that break down? Remember, a typical espresso gives you 150 mg per cup. So, a double espresso would give you 300 mg of caffeine. Since Robusta coffee contains almost double the amount of caffeine, you can bet you will have around 600 mg of caffeine in that double espresso shot. Keep in mind that this is just an approximation. 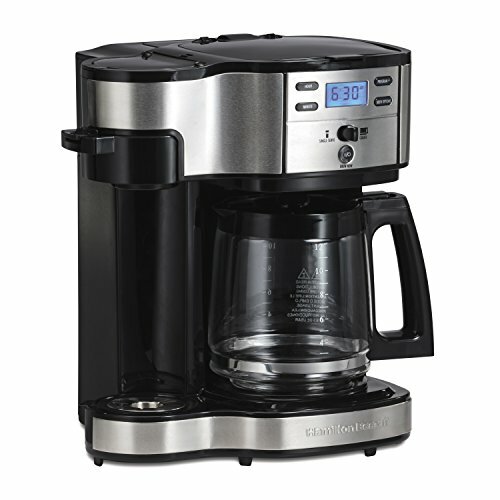 Some coffee has been designed to give you more caffeine than typical coffee even if you use a drip coffee maker. Death Wish Coffee, for example, has more than 700 mg of caffeine in a typical cup, although I have to admit I haven’t tried it myself. Every process in our body is governed by a complex network of chemical signals. Two of the most important of these signals are hormones and neurotransmitters. Caffeine produces its effects on the body by altering the actions of just a few of these hormones and neurotransmitters. First, caffeine binds itself to the adenosine receptors throughout the brain and nervous system. These receptors are used as an inhibitory neurotransmitter that suppresses the level of activity of the neurons that interact with it. Adenosine has been associated with promoting sleep and relaxation while also suppressing arousal. Since caffeine binds itself to these receptors, it prevents them from performing the action they are designed to do. Once it has suppressed adenosine function, it then starts a cascading affect within the body that alters the function of other hormones and neurotransmitters. The most significant impact is its effect on our adrenals that produce and secrete the hormones epinephrine and cortisol. These are known as the “flight” or “fight” hormones that are used to increase your heart and respiration rates while also causing smooth muscle to relax. Caffeine has been shown to increase the amount of epinephrine in the body by as much as 250%, which means that caffeine is basically stimulating our bodies by producing a stress response. On top of that, caffeine also increases the circulation of serotonin in parts of the nervous system. This is why when you drink something with caffeine, your mood is elevated while at the same time your energy levels increase. Everyone reacts differently to caffeine, and some of us can handle more than others. The more often you drink it, the more your body will be able to process before some of the effects of caffeine become apparent. Still, there are some instances where it is important to know that caffeine can make things worse, and not better. For example, caffeine has been shown to make anxiety disorders and even bipolar disorders worse on patients suffering from these conditions. People with heart conditions must also use caution because of the effects that caffeine can have on your heart. These are just a few examples of conditions where people must use caffeine with caution or avoid it altogether. Caffeine can provide many beneficial effects on the human body if it used properly. Morning Wake Up – Sometimes it is hard to get yourself going in the morning without a cup of coffee to start your day. That little jolt of caffeine can help jump-start your system preparing you for the day ahead. Athletic Performance – Studies have found that caffeine can help athletes improve both their endurance and muscular power. This equates to better training sessions and greater gains in strength, fitness, and performance in athletes. Improved Cognitive Performance – In addition to making your body more prepared for physical endurance, it can also help your mind think more clearly. Short-term memory and systems processing have both shown improvements in individuals using low to moderate caffeine. While there are scientifically proven benefits, there are many negatives as well and it is important to be aware of these facts before you begin to consume more than your fair share of caffeine. Caffeine is addictive and over time your body will be accustomed to the levels of caffeine that you ingest. If you suddenly stop drinking caffeine, your body will be thrown off of its normal balance. Essentially, your body will be forced into a continuous replacement of hormones broken down by the continuous binding of caffeine to them. This leads to many of the withdrawal symptoms that you experience when you stop drinking caffeine including fatigue and even headaches. Regularly using caffeine can also suppress iron absorption in your body as well as decrease the level of B-vitamins. In extreme cases and in people with already low iron levels, this can lead to anemia while at the same time reducing your body’s ability to continue to produce the hormones and neurotransmitters that caffeine binds with when it enters the body. If you want to receive the most from caffeine while at the same time trying to minimize much of the harm that caffeine can bring you, there are several steps you can take when it comes to consuming caffeinated products. Every daily coffee drinker will hate this one. While it is best to not drink beverages that contain caffeine every day, if you must, limit yourself to only one cup a day. When consuming coffee or other drinks with caffeine, it is important to find the right amount to drink. If you drink so much that you feel jittery, you have definitely exceeded your limit. If you don’t feel any effects from drinking coffee or other beverages, you aren’t drinking enough. Cacao, or unprocessed chocolate, contains a compound that is related to caffeine but doesn’t interact with the nervous system. Instead, it stimulates blood flow throughout the body. Because your circulatory system is able to bring more nutrients to your brain, you will feel more alert and feel like you have more energy. Caffeine is a natural part of many of the most popular drinks in the United States such as coffee and tea. While there is no stigma attached to it, it is still an addictive drug. However, it doesn’t come with many of the worst side effects found in many other drugs and, if used correctly, can actually be beneficial to the human body. It is important to understand how caffeine interacts with your body and how much caffeine you are getting with each cup of coffee so you can monitor your caffeine intake each day so you can benefit from all the positive effects of caffeine while minimizing your risk of developing any of the negative side effects as well. Remember, too much of anything is bad. Should You Cut Down Your Caffeine Intake? I am not a doctor, so if you are concerned about the amount of caffeine you are consuming I suggest that consult with your physician. However, if you are drinking one or two pots yourself each day, one doesn’t have to be a doctor to tell you that you probably should dial it back a notch or two. I understand coffee is just so good. Why wouldn’t you want to drink it all day? As much as I wish that we could, much like everything else in life too much of a good thing can be bad. For most of us, drinking coffee and any other caffeinated beverage is really no big deal, assuming we don’t go overboard. Still, for others, it is important to avoid or, at the very least limit your daily intake of caffeine. But that doesn’t mean you have to give up your daily cup of coffee you enjoy every morning. By knowing and understanding how much caffeine is in your cup of coffee that you enjoy each day you can plan your diet accordingly so you don’t overdo it with your caffeine intake while still getting to brew up a great cup of coffee each day.